Wondering what to do at this time of the year? Have you been dreaming of going to Italy this summer perhaps? Around this year, it is Italy’s peak season. It would make sense to flock to the most visited cities in Italy like Rome, Venice, Florence, Milan, Verona, Tourin and Bologna, however, if you have already toured these places when looking for a not-so-flocked area would be the next adventurous thing to do. Venture into smaller and less-frequented cities that would offer just as much of the attractions and a gastronomic journey that the top cities in Italy can offer. 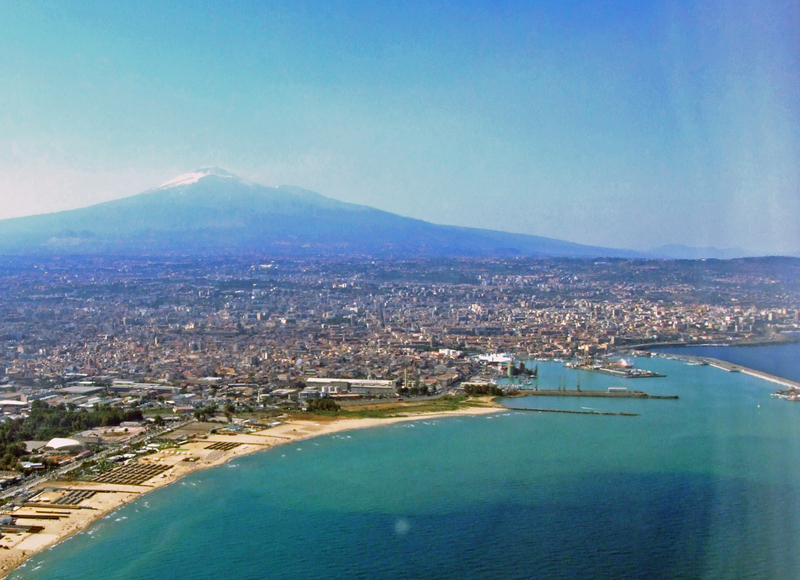 Catania is one of the largest cities in the island of Sicily. It is popular for its architecture, history, culture and complex culinary masterpieces. The city is large enough that it is worthy of exploring for a few days so if you haven’t decided on your itinerary yet, squeeze in your visit to Catania and enjoy the things it has to offer to you and your family. Travelling this big city can be daunting so it is ideal that you drive a car so you can travel with ease. InterRent Catania is one of the best options that offer cheap and quality cars you can drive around the city so you do not need to be bothered by exposing yourself too much to the elements and get haggard while transporting from one place to another. 1. The Historical Amphitheater of Catania. Built in 2nd century AD in the period of Roman Imperial era this historical monument will surely make you feel in awe. 2. Catania Cathedral. This cathedral was erected in honour of Saint Agatha, the patron saint of all of Catania. A reminder of kindness and faith to its people and tourists alike. 3. Castello Ursino. This castle that housed the Sicilian Vespers who were rebels that fought against the rule of King Charles I and freed the Island of Sicily from his rule. Other than these historical monuments, Catania is out to take you on a gastronomic rollercoaster. 1) They are popular for a well sought for arancino al ragu that is rice balls stuffed with meat, salsa de Pomodoro mixed with carrots and peas and then fried. 3) pasta allanorma the symbol of Sicilian Authentic Cuisine that is made of maccheroni pasta, salsa de Pomodoro, fried eggplant is locally known as MelanzaneFritte, ricotta and fresh basil. We are sure you can already imagine the smell and flavours that you will get from this one, truly mouth-watering. This is not the end of the list of places and things you and your family can do and go to using your InterRent Catania Car in this wonderful city. You have yet to see Mt. Etna, Giardino Bellini – the oldest of all of Catania’s urban parks, Monastery of San Nicolòl’Arena – a world heritage site and one of the largest Monasteries in all of Europe and many more. If your curiosity has been piqued, we are sure that on your visit you will surprise yourself! Travel to Catania! It will be worth the time you spend on it.